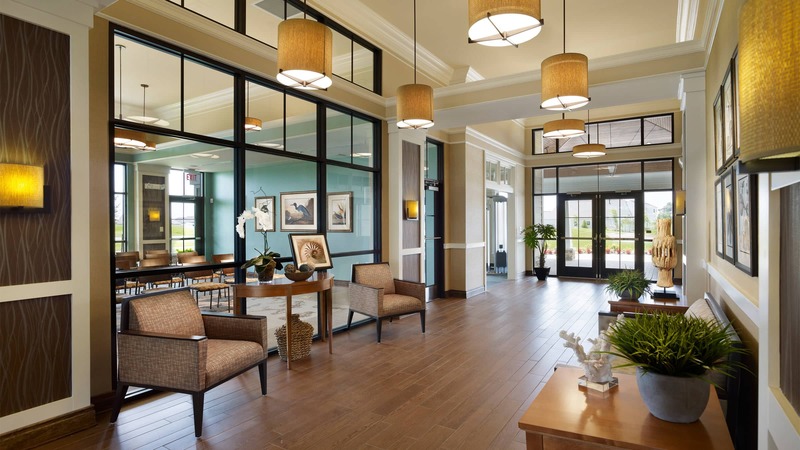 Planned as the first community amenity among four for Plantation Lakes, the East Clubhouse provides recreational and fitness conveniences for neighborhood residents. Implementing decidedly coastal and southern plantation architectural themes, the sprawling, low-country buildings nestle among the marshy wetlands and sandy bunkers of a professional 18-hole golf course. These upscale facilities contain meeting and exercise spaces along with support spaces for special functions and the 4,000-square-foot swimming pool. With its pergolas and sweeping porches, the clubhouse and its companion pool house give residents indoor and outdoor spaces for retreat and conversation.